Why buy a "cookie cutter" crate engine when you can have a true performance engineered engine assembly from Dart's Special High Performance group? 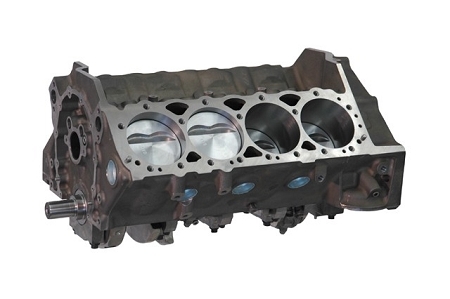 All small block Chevy short blocks from Dart are built around a high quality SHP block and premium components, with plate honed cylinder bores, internally balanced rotating assembly, flat top pistons with full floating pin, connecting rods with 3/8" cap screws, Hastings moly rings, Clevite bearings and coated cam bearings. This short block qualifies for Dart's Summer Cash Back Rebate. Click here for more information.